Asian stocks begin the week firmly in the green, picking up from a bullish session stateside, following stronger than expected non-farm payrolls data. The CEO of UBS Sergio Ermotti tells CNBC in an exclusive interview that some of the weak players in the European banking sector still need to be addressed, as he says a bailout of Italy's failing lenders was inevitable. The Qatari Central Bank governor touts its 40 billion dollar cash reserves, as he tells CNBC exclusively that Doah has enough funds to withstand the boycott. BT is reportedly drafting in consulting firm McKinsey in a bid to reverse its ailing fortunes. According to the Telegraph, the company shake-up could include a merger of BT's troubled global services corporate networking and IT unit, with its business and public sector division. The review, which comes ahead of Wednesday's AGM, follows a difficult period for the telecoms giant, which has seen it suffer a 530 million pound hit, related to an accounting scandal in Italy. I think there is a tremendous opportunity. Out customers say we need to focus on productivity per barrel. How do you help us? What we have done by marrying the oil field services with the equipment and services capability of oil and gas is really bring that unique opportunity of putting it altogether. 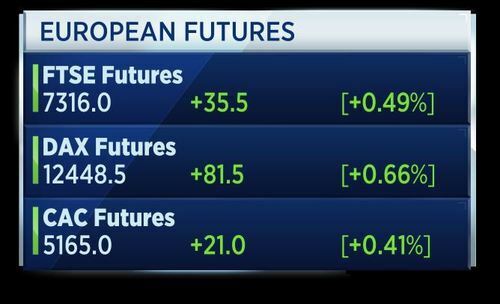 Markets in Europe are expected to open higher on Monday morning, extending gains seen across the U.S. and Asia. The FTSE was seen opening higher by 36 points at 7,381; the German DAX was expected to open up 81 points higher at 12,388; and the French CAC was on track to open higher by 21 points at 5,163. 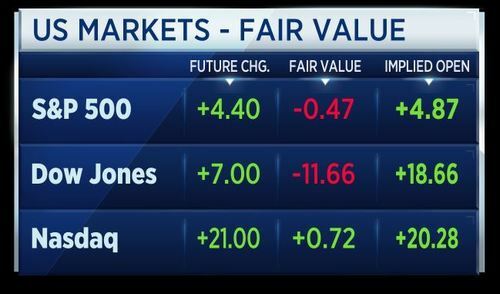 CNBCMarkets in Europe are expected to open higher on Monday morning, extending gains seen across the U.S. and Asia. Barclays could face more criminal fraud charges over its 2008 cash call. According to the Financial Times, the Serious Fraud Office is preparing to make a charging decision related to subsidiary Barclays Bank, in the next two weeks. 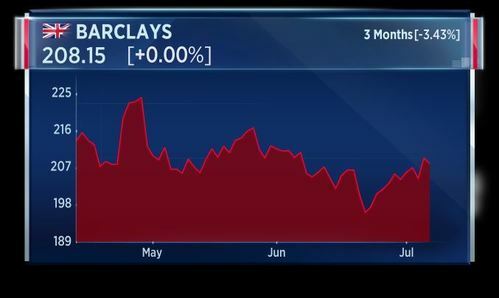 Barclays turned to Qatari investors for help during the financial crisis. Qatar central bank governor Abdullah Saud Al-Thani, says inflows are exceeding outflows made by non-residents. Even if it not exceeding, we are ready to meet all the requirements of the non-residents if they decided to take their deposits, we are ready to meet all this. And the banking is well, they have this ladder of maturities to meet this requirement. 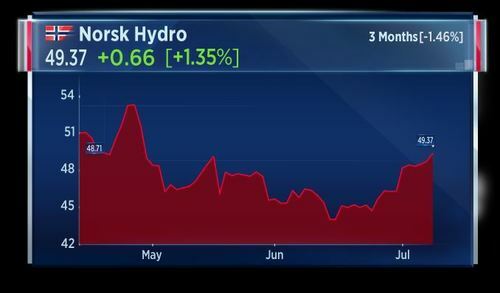 Norsk Hydro has agreed to take full control of Sapa from Orkla, giving the business a total value of over 2 point 5 billion euros. Sapa was formed in 2013 as a fifty-fifty joint venture between the two firms. It will now be fuly integrated into Norsk Hydro, giving the Norwegian firm an exclusive foothold in both the aluminium market and finished products. Sergio Ermotti, CEO of UBS, told CNBC what he thinks will unleash animal spirits globally. There are many fronts open. The U.S. is one, but in Europe people are now looking to see how the new administration in France will perform. Remember, five or six months ago people were concerned about the Dutch elections, the French elections and now those things are normalizing. We need to see what’s coming out of Asia and China in particular. The geopolitical front is quite a worry. Ermotti says investors need to see a prolonged and stable pattern going forward and says it will take a year or two of stable markets and stable issues to see high cash balances come down. James Barty, head of European equity strategy at BofA Merrill Lynch, argues against the view that the bull market is getting long in the tooth. First of all the recovery in the global economy has been quite subdued by historical standards. Although it’s long in age, it’s not great in terms of the amount of GDP we’ve added. Also on the valuation point, the key sort of point I make to people is, compared to what? Yeah, U.S. equities are on 18 times earnings, European equities about 15.5 times, but you’re talking about something in the region of a 6 percent earnings yield. You compare that to government bonds, where even in the U.S. you only get 2.3 or 2.4 percent. James Barty, head of European equity strategy at BofA Merrill Lynch, says political risk is always in the background for investors. It’s something which periodically comes up and starts to worry market participants. But at the end of the day if that political risk doesn’t actually start to damage the earnings prospects and the growth prospects, markets tend to disregard it. 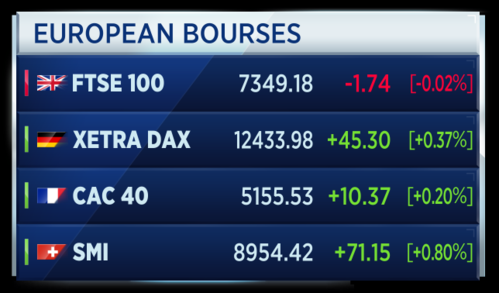 The pan-European Stoxx 600 is up almost a quarter of a percent so far this morning. Solid gains in Asia and strong U.S. jobs growth for June are encouraging investors. Real estate and the oil & gas sectors are leading the market higher this morning. 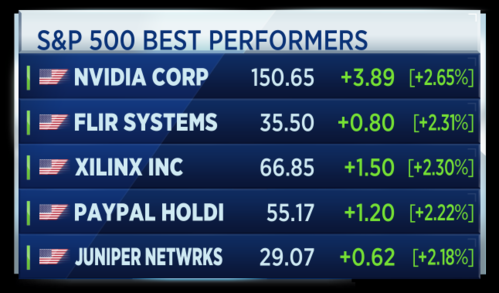 Here's a look at the stock sectors performing best and worst today. CNBC spoke to the UBS CEO, Sergio Ermotti about climate change and how much investors have begun prioritizing sustainability in their investment decisions. UBS has committed $5 billion to impact investing. It makes sense to the clients, because they want it. It’s not something we are pushing out to the clients, we’re responding to a clear demand that is there. This is not only a demand coming from the millennials or the new generations, which of course they want to do something good, while doing well. But this is not any longer just something that’s a focus of new generations; older generations want to have a legacy. He says almost a third of assets managed come under the umbrella of sustainable investments. U.S. Secretary of State Rex Tillerson will travel to Kuwait today to help mediate the dispute between Qatar and its Arab neighbours. 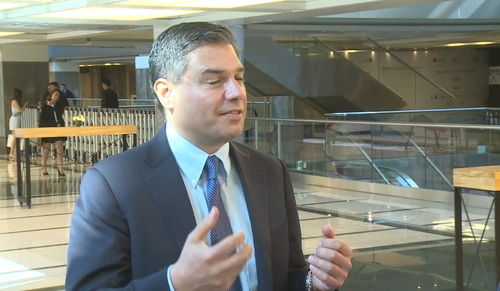 CNBC's Willem Marx spoke to the Qatar central bank governor Abdullah Saud Al-Thani about potential disruptions to LNG production as a result of the crisis. Most of these contracts of the LNG, are long-term contracts. And they are with our clients, they believe in us, and we believe in them. What kind of disruptions? I don't think that there will be a disruption unless there is something beyond this kind of boycott. He added that if something were to happen, they have plans and other strategies to meet all of the Bank’s requirements. 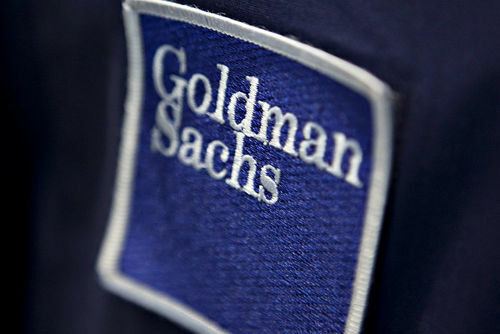 Investors have pulled an estimated $26.7 billion from Goldman Sachs Asset Management's mutual funds so far this year, according to Morningstar data. A Financial Times report says the outflows represent more than half of the asset firm's strategies globally. It also makes Goldman the hardest-hit fund manager around the world in 2017. Hans Redeker, global head of foreign exchange strategy at Morgan Stanley, discusses how worried markets should be about the move to passive funds. I do not like what I see, because you have to consider when you have people getting more involved with passive investment strategies, the market will be less able to react to minor distortions or minor declines on the fundamentals side. You will not see the market direction. You will see just a continued inflow of funds. He warns that these passive funds are tied to risk strategies that pulls money out if it falls by a certain amount, and if the market hit these levels you could see a cascading event, whereas active managers can see opportunities to move money into the market. Russia's Gazprom says potential new U.S. sanctions may result in delays or prevent completion of some of its projects, according to its eurobond prospectus. Gazprom says Nord Stream 2, Turkish Stream, Deepwater, Arctic Offshore and shale projects among those which could face difficulties. Russia's Gazprom says it has raised a 42.35 billion rouble loan from VTB and a 42.7 billion rouble loan from Sberbank, both due in 2022. Qatar's energy minister says Qatar's LNG exports to Japan, India, South Korea and China were not affected by the Arab boycott. He says exports to the UAE, Saudi Arabia and Bahrain are less than 8 percent of Qatar's total exports. Kazakhstan wants to gradually leave an OPEC-led oil production cut, with a rise in output within a couple months after the deal expires. The Kazakh oil minister spoke to Russia's news agency TASS, as the World Petroleum Congress opens in Istanbul. OPEC and other big producers agreed to cuts until the end of March 2018, to bring down a global oil glut and support weak prices. 2014 was the last World Petroleum Congress in Russia and there I was, price $108 a barrel. WTI is trading around $44 a barrel today, so completely different backdrop in three years and they are under enormous pressure, that’s both the IOCs, the International Oil Companies… and the NOCs, especially the NOCs, because they've not only got to get their cost downs, but they also have to balance their budgets. Oil prices are slightly negative this morning. 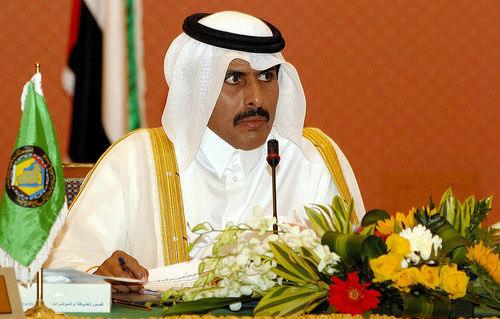 The Qatari government says it will establish a committee to handle claims from companies and individuals that have lost business during the current blockade. The Gulf countries leading the boycott have already made their own demands for compensation from Doha, for its alleged political interference. 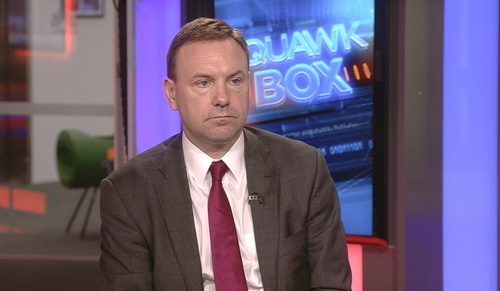 CNBC Willem Marx spoke to Qatar central bank governor Abdullah Saud Al-Thani, about whether or not Qatar did enough to investigating flows of funds through Qatar to terrorist groups. Qatar has already had a good and unique system. We have laws established against all these kinds of terrorists, we have our own law which also create a unit inside the Central Bank to review all the activity in banking. We have compliance sitting in the banking system. We have also, maybe the only country, the charities law that regulates them and also publicly have the external audit team. In the last years we've have all these systems and it is proven to review everything openly. So we have a very good, unique system and compliance also on the charity side, we have compliance on the banking sector and also two committees. Despite the recent spike in bond yields, volatility in financial markets has remained low, with the VIX index falling by around 20 percent year-to-date. 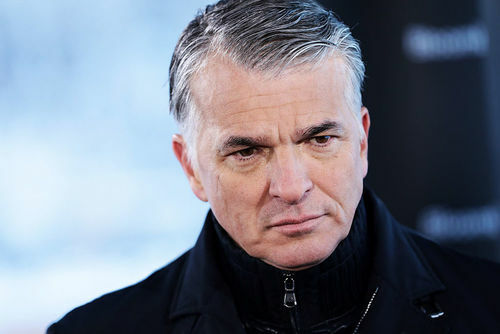 CNBC caught up with the CEO of UBS, Sergio Ermotti, and asked him how the long period of relative calm in stock and bond trading is impacting his bank's performance. Right now there is no volatility at all, so we are not even discussing bad volatility in this environment. Of course we do see now for the last 5-6 months, individual clients being more active and constructive about markets than institutional investors, which are of course highly correlated to the volatilities of financial markets. We are almost correlation one across many asset classes in terms of volatility, so I do see a little bit of a stagnation of business, and a little bit of volatility and change in policies may help to give a little bit of momentum to the business. Investors have pulled an estimated $26.7 billion dollars from Goldman Sachs Asset Management's mutual funds so far this year, according to Morningstar data. A Financial Times report says the outflows represent more than half of the asset firm's strategies globally. It also makes Goldman the hardest-hit fund manager around the world in 2017. Donald Trump Junior met with a Kremlin-linked lawyer last summer after being promised damaging information on Hillary Clinton. 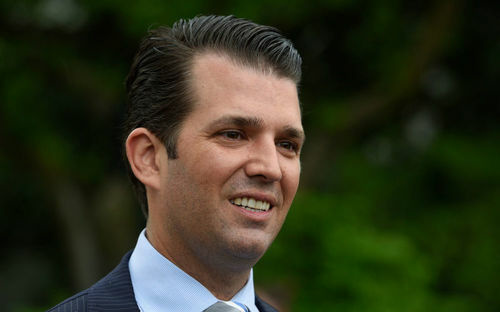 Following a New York Times report on the meeting, Trump Junior said the lawyer "had no meaningful information", and the discussion quickly changed focus to policy concerns unrelated to Clinton. This as President Trump took to Twitter, to provide details of his meeting with Russia's Vladimir Putin, at the G20 in Hamburg. 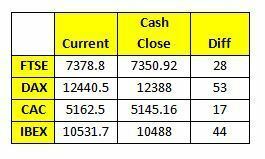 U.S. markets look set to continue Friday's strong finish in Monday's session, according to future values. So far, the S&P is called 4.87 points higher, the Dow is expected to gain 18.66 points and the Nasdaq looks set to rise 20.28 points. 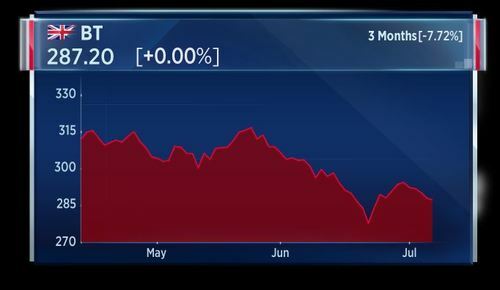 The Nasdaq is about 3 percent off the record high set on June 9. Greek June consumer inflation rose 1 percent year-on-year, versus 1.2 percent in May. Greek industrial output in May increased 5.4 percent year-on-year, from 0.8 percent in April. The euro is flat against the dollar today, down just 4 basis points. 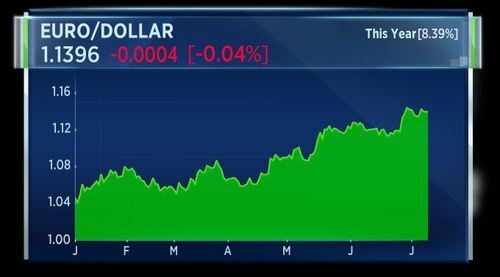 So far this year, the euro is up more than 8 percent against the U.S. currency. George Saravelos, strategist at Deutsche Bank, argues that the current range for the euro-dollar trade is too small, and expects the euro to break above 1.15 by the end of the year. First, if the current 1.03-1.14 range in EUR/USD persists throughout the year it would be one of the narrowest in the euro’s history. This would be highly unusual and therefore unlikely: the median annual range for EUR/USD since 1999 has been 18 big figures equivalent to a move above 1.20. Second, the current EUR/USD move is “too small” versus prevailing volatility levels. There is an upward sloping relationship between FX vol and ranges, with more volatile years associated with bigger FX moves. Even though volatility is low this year, the current range is even smaller than this would justify. Current volatility levels of around 8 percent would be equivalent to a 14 big figure range for EURUSD, a move up to 1.17, which is our year-end forecast. 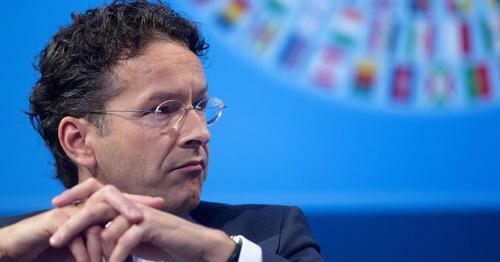 He expects the euro to go higher, as technical indicators are in its favour. Russian's finance minister says proposed new U.S. sanctions wouldn't spur an exodus of foreign investors from Russian OFZ government bonds. The finance minister says the sanctions wouldn't negatively impact the Russian plan to privatise state companies. The CEO of Saudi Aramco warns that the world may be heading for an oil shortage. Speaking at the World Petroleum Congress in Instanbul, Saudi Aramco CEO Amin Nasser said the long-term outlook for oil supplies is becoming increasingly worrying and that about $1 trillion is investments have already been lost since oil prices declined in 2014. Financial investors are shying away from making much needed large investments in oil exploration, long-term development and the related infrastructure. Investments in smaller increments such as shale oil will just not cut it. 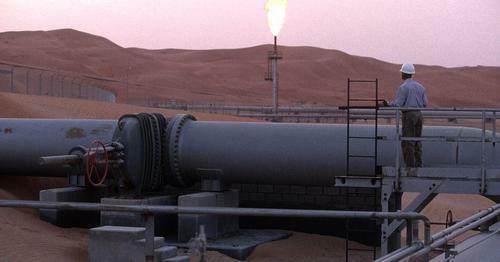 The world might be heading for an oil supply shortage, Saudi Aramco's chief executive said. The U.K. parliament is being evacuated after a fire alarm went off, according to a Reuters reporter. Speaking in Kiev, NATO Secretary General Jens Stoltenberg says Russia must withdraw thousands of its troops from the Ukraine. Stoltenberg says he is concerned by the increasing threats to OSCE monitors in Eastern Ukraine. He says he is working to provide Ukraine with satellite communication equipment and to protect Ukraine from cyberattacks. Meanwhile, Ukraine's President Poroshenko says he wants Ukraine to meet NATO standards by 2020. The president says NATO has accepted the country's proposal to start discussion on NATO membership. Turkey's Presiden Erdogan says a big opportunity was wasted in Cyprus talks last week, and some energy companies are becoming part of irresponsible measures by Greek Cypriots, Reuters reports. Erdogan also said Iraq needs to refrain from holding an independence referendum. Meanwhile, Erdogan says work on a third nuclear power plant project has started and that he wants to start construction on the Sinop nuclear power plant as soon as possible. BNP Paribas has cut its average price forecast for Brent crude oil by $9 to $51 per barrel for 2017 and by $15 to $48 per barrel for 2018. It also cut its average price forecast for WTI by $8 to $49 per barrel for 2017. 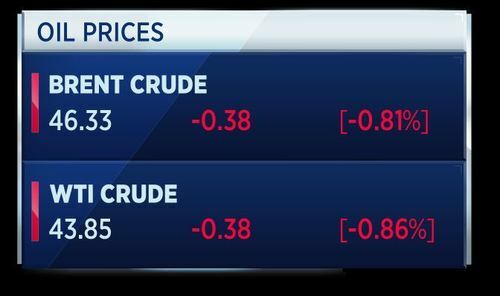 These are today's crude oil prices. Facebook (FB) – Facebook cut the price of its Oculus Rift virtual reality headset and related gear for the second time this year. Consumers will be able to buy the headset, controllers, and some games as a bundle for $399, compared to the prior $598. The lower price will be in effect for the next six weeks. Wells Fargo (WFC) – The bank won preliminary approval from a California judge for its $142 million settlement with consumers whose credit scores were harmed by the creation of fake accounts in their names. ClubCorp (MYCC) – ClubCorp agreed to be bought by Apollo Global (APO) for $1.1 billion in cash, or $17.12 per share. ClubCorp is one of the largest operators of private golf clubs in the US. Costco (COST) – BMO Capital downgraded the warehouse retailer’s stock to “market perform” from “outperform”, noting that a six percent jump in June comparable sales didn’t appear to be enough to overcome fears generated by Amazon’s (AMZN) purchase of Whole Foods (WFM). Great Plains Energy (GXP), Westar Energy (WR) – The two electric utilities have agreed to an amended stock swap merger agreement that involves no premium paid or received by either company. Helen of Troy (HELE) – The personal care products maker reported adjusted quarterly profit of $1.37 per share, 11 cents above estimates, while revenue was also above Street forecasts. The company credits successful new products and expansion of international sales, among other factors. Southwest Airlines (LUV) – The airline reported a 3.7 percent increase in revenue passenger miles during June, compared to a year earlier. European markets are broadly higher as trade reaches into the afternoon session, although the FTSE is an obvious exception. Technology stocks was among the best performing sectors, trading up by almost a percent, as investors regained faith in the sector following a brief lull earlier in the month. Banks on the other hand dipped by midday deals, having been trading higher at the start of the session. Lloyds Bank, Banco Santander and Metro Bank were some of the stocks to slip lower. The FTSE is being dragged lower by life insurer Legal &General after the British firm saw its rating was cut to negative by S&P. The CEO of Saudi Aramco warned that the long-term outlook for oil supplies was becoming a concern, due to decreased investment. 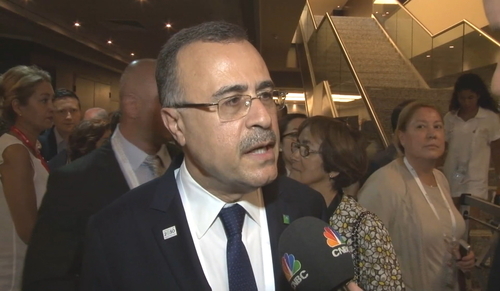 CNBC’s Steve Sedgwick spoke to the Saudi Aramco CEO Amin Nasser at the World Petroleum Congress. Nasser said there is good investment in unconventional oil and gas but they will not be sufficient over the long term to meet the needed demand of oil and gas. He said there has been an almost 3 to 5 percent decline in oil production. Out of 97 to 98 million barrels you’re talking about 3 to 4.5 million barrels of national decline in existing fields. That needs to be compensated over the long-term. A lack of investment is definitely not helping. So if that continues over the next couple of years there will be an inflection point where what we see today will have an impact on the consumers at the end and supply will be impacted over the next couple of years. Nasser says he wants to see more investment from the various sectors to ensure there is adequate supply over the long term. CEO Amin Nasser confirmed Saudi Aramco's IPO will go ahead in 2018, despite the lowering oil price. Our investment is geared for the long term. 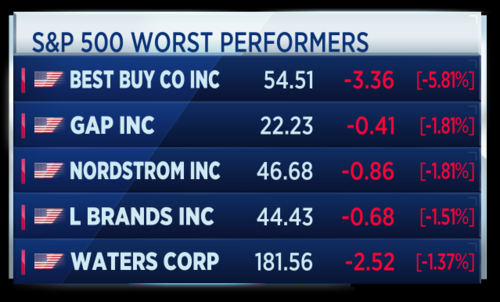 Here are the best and worst on the S&P 500 this Monday morning. Reuters is reporting that Germany's Siemens is to take legal action to prevent the installation of two of its turbines in Crimea. Russia has previously promised to provide stable power for the region after it was annexed from Ukraine in 2014. Energy supplies to Crimea are seen as a breach of sanctions imposed by the EU. The news agency said two of four turbines intended for a site for a separate project were moved to Crimea against company wishes. 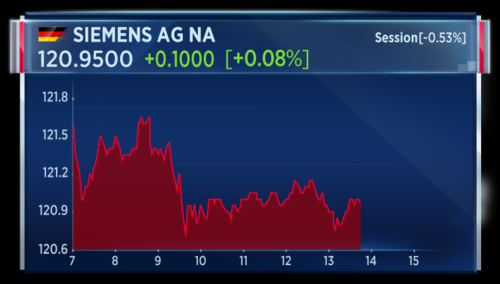 Siemens says the move is a "clear breach of contract" and wants to initiate criminal charges. The German industrial giant also wants to reverse the contract and bring the dispatched equipment back to the original destination of Taman in southern Russia, near to the Ukrainian border. 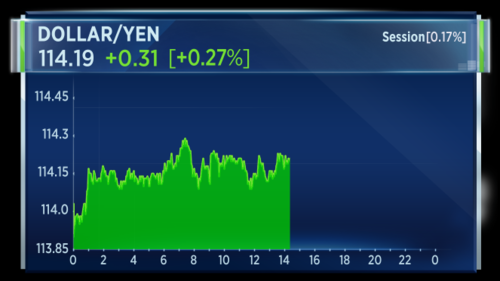 The dollar has hit a new high of 114.29 against the yen, highest level since May 11th when the dollar traded as high as 114.36 against the yen. On our last print the dollar was sitting at 114.19. 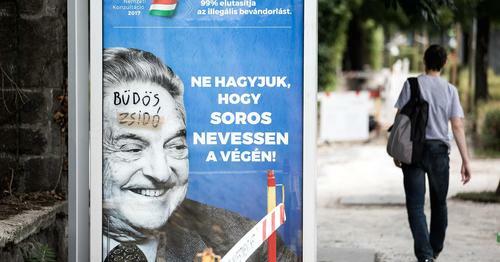 CNBCA government campaign portraying billionaire businessman George Soros as the enemy of the Hungarian people has prompted a public outcry with people accusing the ruling right-wing Fidesz party of Nazi-era anti-Semitism. 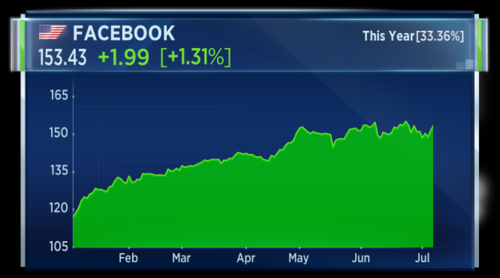 Facebook shares are up more than 1 percent in U.S. morning trade. The stock is among the higher performing equities on the Nasdaq. 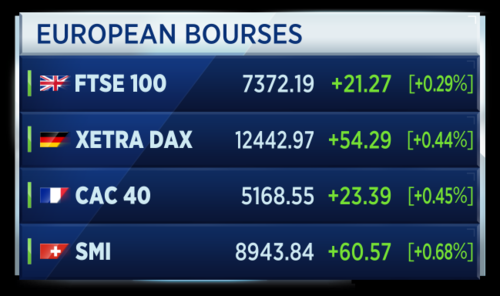 European markets have closed in the green. Tech stocks were among the best-performing sectors, trading up by almost a percent on Monday, as investors regained faith in the sector following a brief lull earlier in the month. The average across the Stoxx 600 stocks equating to a rise of 0.5 percent. Join us then for more.